Get rid of overlapping events. We’ve just synced calendars at work so there are three calendars that we each view. However, we have many overlapping events. If there a way to sync these so that if we’re all invited to a meeting, it only shows up once? 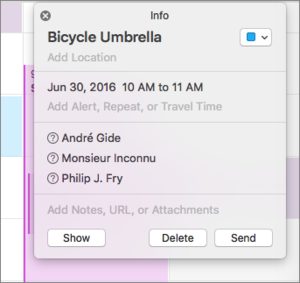 Yes, although you may have to change the way you think about personal and shared calendars. Many people run into this problem in work groups, families, and social and sports organizations. The trick is to figure out where a master event should live. You might think it makes sense to have every event in which you’re a participant appear on a calendar that’s entirely under your control, whether it’s personal or professional. But I’d suggest in most cases, it more sensible to figure out the intersection of the set of people with whom you’re making shared appointments, whether for meetings, doctors’ visits, or soccer fields. 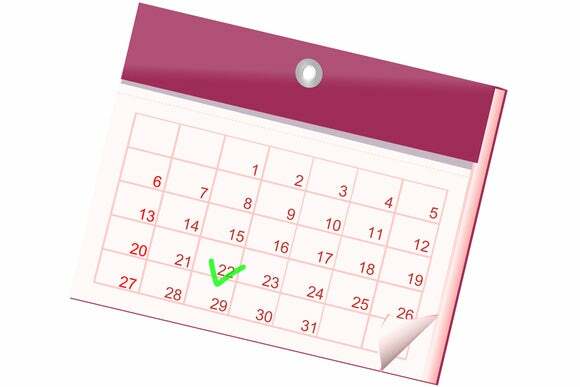 Use invitations to have events you want on a shared calendar include the right people. I also use non-Apple software to manage events, including Google Calendar, which can be linked into Calendar and other client software, and Doodle, a freemium service for coordinating a time and day for a meeting, podcast recording, or other task, and which can export an iCal-compatible event file that can be placed on the shared calendar.